I was listening to a rather annoying interview in the car this morning about books and ebooks. The basic approach seemed to be that people could never transfer their allegiance to ebooks because they need to hold something and because only paper books have proper editing standards. It was one of those interviews where I ended up yelling at the radio because I felt some of the comments were so silly and thoughtless.It was like listening to a religious argument – those in love with their books believed that ebooks are wrong, even if their reasoning doesn’t bear close examination. One reason given for resisting the move to ebooks was that you can’t keep mementos such as boarding passes as bookmarks in an ebook. Too true; until boarding passes go the way of tickets and become virtual themselves. Standards will fall without paper books? Sorry, editing has nothing intrinsically to do with format. There won’t be any need for cover art? Try shopping on Amazon for an ebook – you still see a book cover picture. It just went on and on. The most pertinent point was that you don’t get to own your ebooks in the way you can own a hardcopy book. But then these days that’s true of music, games, movies; so why should books be intrinsically different? The most interesting and compelling point was someone saying that they find it easier to remember things from a real book. I’m guessing this is because there is a visual and tactile memory that’s easier to access with a real book. You can recall how heavy the book was, how it felt, how it looked. On an ebook device all these things are the same for each book. 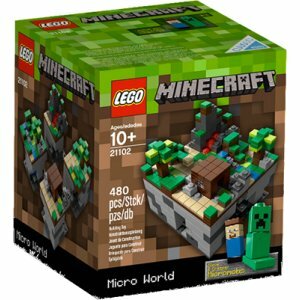 Then I came home and found several articles about the new LEGO Minecraft set which has just been released. The interesting thing is that Minecraft started out as a digital game, entirely electronic. Now a hardcopy version is being created based on that digital version. A number of commentators have asked what the point of that is? After all the entire point of Minecraft itself is that you can build in a virtual world without limits. So why make a physical version (other than profit)? See? it’s the opposite of the books argument. And again people are taking sides. Ultimately the fact that things are available in different versions should not be threatening for people. No more than the idea that someone could exercise a different choice should be threatening. But that’s not really the way most of us are wired is it? This does not need to be a religious divide. There’s no reason that hardcopy books and ebooks cannot coexist for some time. Hardcopy books do not require the rearguard defensive action that their avid fans seem to think is the only way to defend against the onslaught of ebooks. Everything else being equal (the world not ending, solar flares not destroying all infrastructure, etc) there is going to be an inevitable shift over time to electronic books. For quite some time though hardcopy books will be available to those who want them. There is a place for both. And Minecraft LEGO shows the flow does not all have to be one way. It’s easy to envisage a scenario where a book starts out as an ebook and then, if it’s particularly well-received, gets a special small-run printing with fabulous binding and so on. The hard part with all these things is coming up with the original idea. Once you have that the various formats are all about marketing. That said, the argument for real-world toys is far stronger, in my view, than the argument for hardcopy books. We live in the real world and it’s important that kids, and adults, understand how that world works. Playing with toys is a way of safely gaining that understanding. I’d far rather be dealing with an engineer who had played with LEGO than one who had exclusively built in Minecraft. But at the end of the day someone who has done both is almost certainly going to be the better for it.